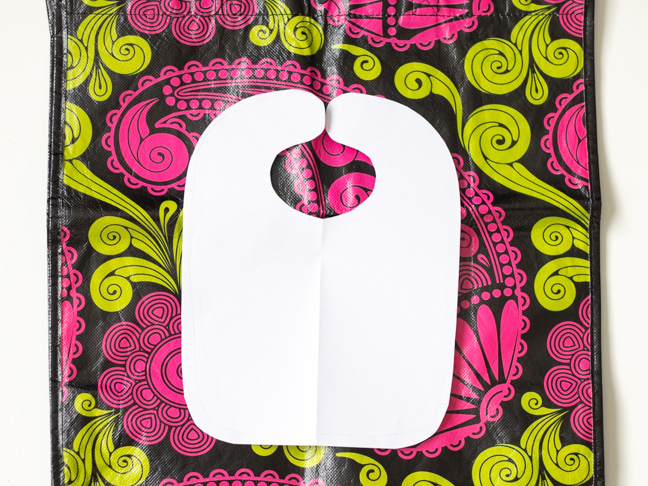 When it comes to feeding your toddler, you may come to realise that while bibs protect the clothing underneath, the bib isn’t protected itself. 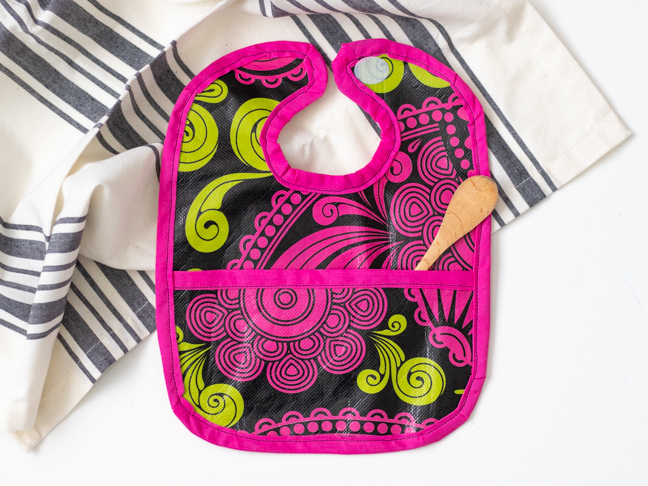 Cloth bibs take on a lot of mess, but when the stains don’t wash out, all you’re left with are splotchy bibs. 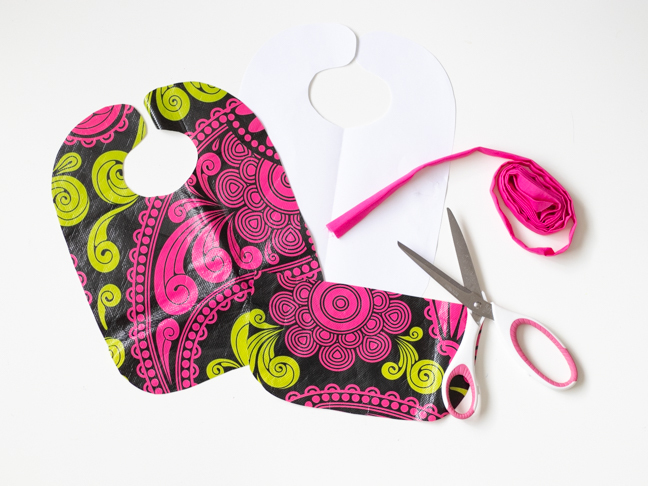 You could keep using them to keep clothing clean, or you could trade them in for simple DIY waterproof bibs that wipe away stains in seconds! 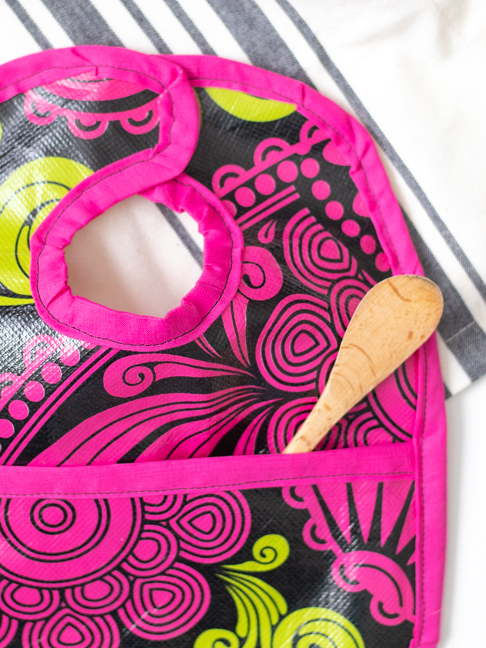 Much like the fabric used for tablecloths, these DIY bibs have a pocket for the toddler who also likes to stash away their snacks. 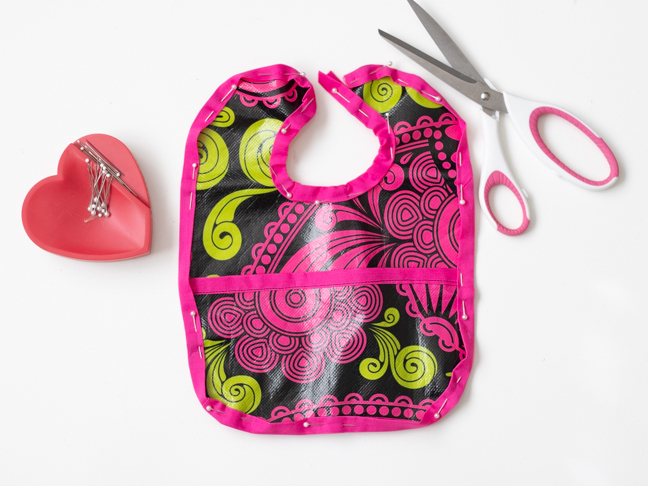 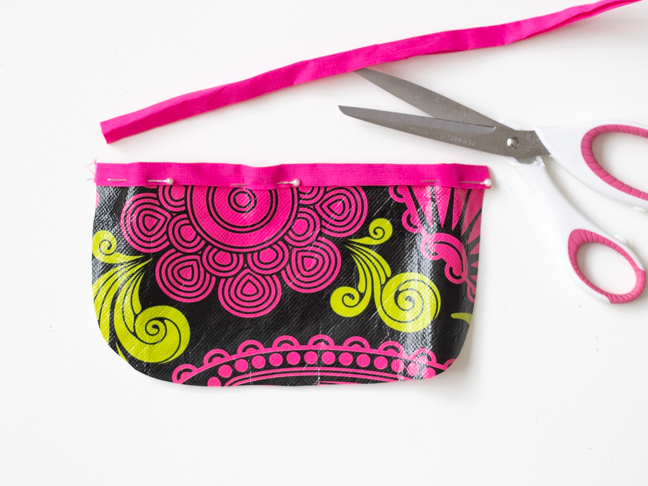 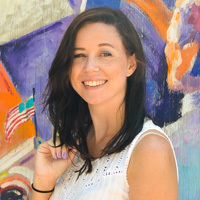 The best part is that you can upcycle a reusable shopping bag with a cute pattern into a waterproof bib! 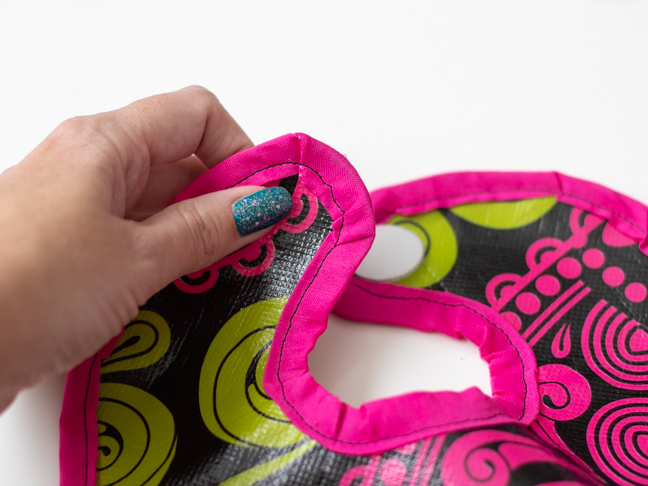 You’ll find an assortment of plastic-coated waterproof bags at your favourite supermarkets, retail outlets or even the craft store to use. 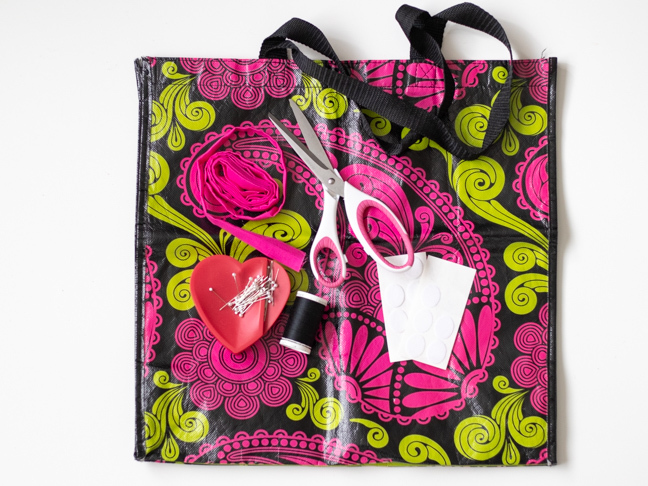 Plus, they’re so easy to make that you can make a few extras as gifts!